Thank you for your calling last night with great concern about our leaders in South Sudan which is in the midst of civil war. I am so sorry that I cannot say to our brothers and sisters in South Sudan, “Merry Christmas” because of the current terrible situation. Dr. Oyor Moses who is a Malakal UBF chapter director is in Juba, the capital of South Sudan now. He went there in order to go to Rwanda for his university workshop. But now his schedule was cancelled and also was not able to go back to Malakal because there is no airplane. Forces loyal to a rebel leader have reportedly captured Malakal, the capital of the oil rich Upper Nile state last night.Some said heavy fighting erupted in the morning hours of Tuesday and by evening the rebels took full control of Malakal town. Despite of the situation, our leaders in Malakal center held Christmas worship service with twenty sheep last Sunday. Shepherd Peter Angelo delivered a Christmas message instead of Dr. Oyor Moses who is bound in Juba. Shepherd Padiet Deng and all our brothers and sisters in Juba are safe now. I pray that God may protect all our brothers and sisters as well as all innocent civilians from the violence. I pray that love and peace of our King Jesus come upon the nation. We just want to wish you a merry Christmas and happy New Year for 2014, for you and Msn Rebekah. Here, we are doing well. Victoria is growing well. She is 9 months and 2 weeks now. Now is already cruising, using walls and sofa. I don’t know if Msn Philip told you, but I am going to go back to study at university. I already competed for to enter to a public university. The major I chose is computer engineering. We are praying that God may let enter in this university. And that it is like a new beginning for me, in my new life in Brazil. I hope everybody is doing well, in Downey. This is a picture we did after Sunday worship Service. We pray that God may continue to bless your ministry and use you in 2014. God's grace may poured out is grace in 2014. Emmanuel. Thanks for your prayer for South Sudanese leaders. I want to request your prayer continually for South Sudan. The civil war has spread into the several areas in South Sudan since violence erupted in Juba on Sunday after clashes between rival factions of the presidential guard. More than 500 are estimated to have been killed and More than sixty thousands people are fleeing their home to seek refuge. Thousands of civilians, mostly from the Dinka ethnic group shepherd Padiet Deng belongs to, are fleeing the capital Juba every day, crossing into Uganda, as rumors suggest that forces loyal to a rebel leader may attack the capital any time soon to take it from government forces. Reports say Juba airport is also congested with thousands of people wanting to get into planes and leave. Many foreigners have been leaving under their own governments’ support. Please pray continually for our leaders’ safety and peace in South Sudan. This year I did not catch a cold. Last week I became a little bold did work outside knocking down with a chainsaw rotten tree trunks without wearing a mask thus breathing into lungs lots of unhealthy dust. That evening I started coughing immensely and felt a cold coming down on me. This evening the cold is still raging in my body. Although I put on winter cothes like thick jacket, still I felt chilly with all of my body aching, realizing how weak a man's body is! I was reminded (most realistically so far for the last 65 years of life in the body) of the grace of the Lord born in a manger! Yes! The Word became flesh and made his dwelling among us! Now I am under the blanket with my body tugged in snuggly in the bed withdrawing some comfort from the coziness of the wrap. But right before I walked into the bedroom around 4 pm today I saw my Cat Morgan sleeping on my bed! When and how did she sneak in?! I always wanted to keep her inside but my wife says "No, no, no"! Once my wife finds this out Morgan is in big trouble! Then I thought about the grace of the Lord born in a manger! Why does Morgan want to sleep "inside"? The answer is obvious! Her body is made up of flesh! Although she has nice coat made of fur still she prefers inside rather than chilly outside. Yet our Lord Jesus was born in a manger! Then after offering himself as an atoning sacrifice he rose again giving hope of resurrected life for us the mortals! online dictionary defines the word seminary to mean—noun, plural sem·i·nar·ies. a special school providing education in theology, religious history, etc., primarily to prepare students for the priesthood, ministry, or rabbinate. 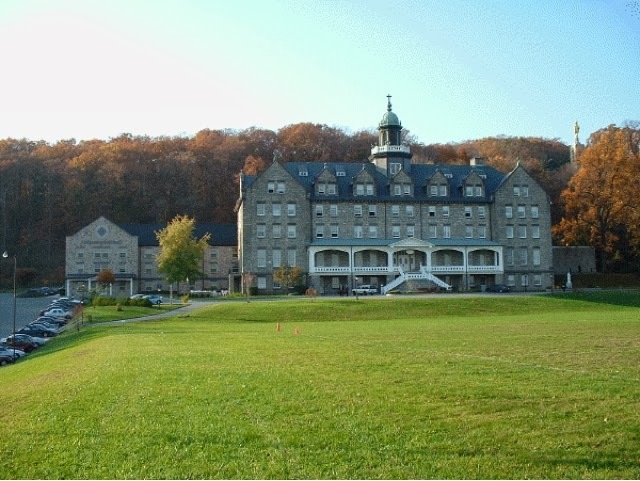 a school, especially one of higher grade. a school of secondary or higher level for young women. a place of origin and propagation: a seminary of discontent. A fee minutes ago while I was at the Washington Dullas Airport in transition to Albany New York, Missionary Paul Chung sent me a book report. 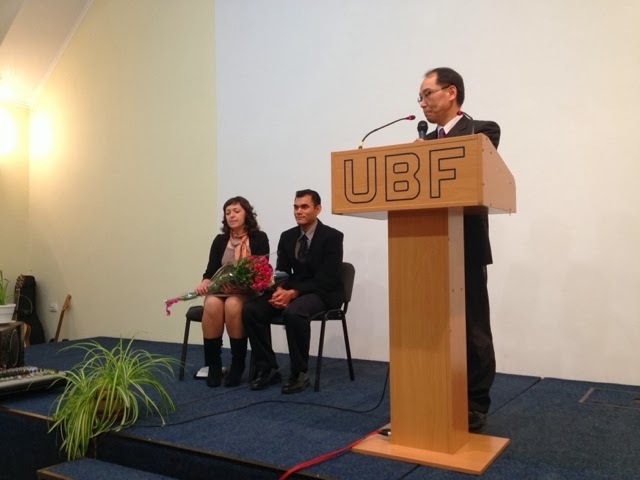 His report underscores the need to build UBF Seminary. 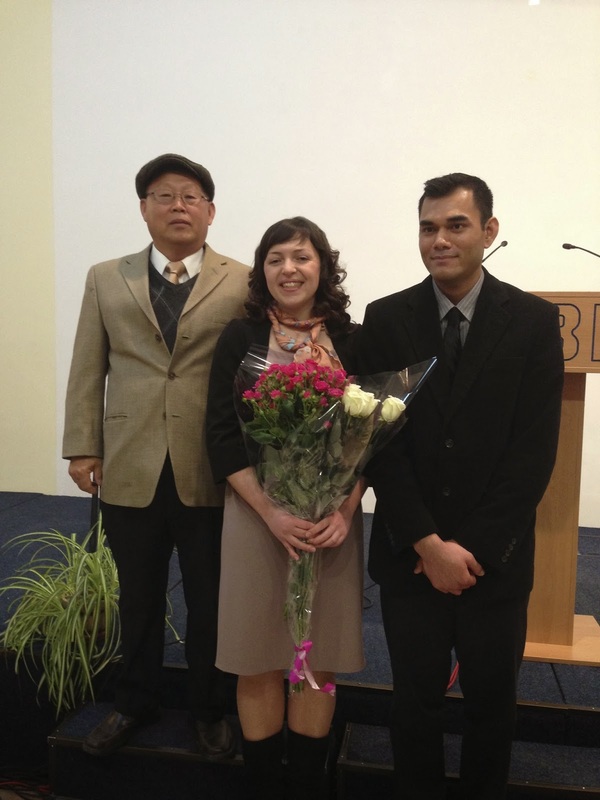 Please read his report and pray that the Lord would grant us a leadership training institute. For the last year, I began to read a series of books on Roman history (15 books, average 400 pages) written by a Japanese author, Nanami Shiono. In the past, I had read about the rise and fall of ancient Rome written by Gibson and a few other authors. But I was so overwhelmed by the many events and stories that I finished each book without a deep understanding of the history of ancient Rome. However, Nanami writes in such a way that I could picture ancient Rome’s history chronologically and could describe almost every event even after reading about it for the first time. Furthermore, when I studied early Christian history in my theology studies, I had a hard time understanding it because I did not know the historical background. After reading the series by Shiomi for the second time, however, I could connect each event in Roman history to the way Christian history was shaped. Anyone who reads these books, would gain more insight and knowledge than me. But I would like to talk about what I learned through the history of the Roman Empire which lasted more than 1,200 years. As you know, Rome was born as one of the city states in B.C. 753. At that time, there were hundreds of city states established by the Greeks, Etruria (early central and northern Italy) and Carthage. Although the Greeks established hundreds of city states in the southern part of Italy, Asia Minor (presently day Turkey) and France, neither the Greeks nor Etruria or even Carthage were interested in Rome because of its surrounding terrain – Rome had neither sea to become a port city or high mountains to provide protection. However, this small city became the largest city state and later on, an Empire that lasted 1,229 years (BC 753--AD476) while the other “better” city states dwindled and then disappeared. However, the true strength and power of Rome did not only come from the large population. There were many other factors that I will describe very, very briefly here. First, the leaders of Rome had a healthy common sense. They did not blindly oppose each other for the sake of fighting their opponents. Second, the Romans had a spirit of community. Rome governed 18 states (nations) in the time of Julius Caesar(100-44B.C) and 32 states (nations) in Marcus Aurelius(121-180A.D) but they did not think of each state as separate entities. They thought that all the people of Rome were one family permeated in the minds’ of each citizen. Third, Romans in general were excellent adaptors and learned from other people constantly. Fourth, as a constitutional state, Romans were governed by the principle of working hard. Most emperors until fourth century A.D. died with fatigue because of their overworking. Fifth, Romans were studious historians. Whenever a new emperor came into power, the emperor read and studied the entire Roman history and found his ruling direction based on this history. They say that the wise learned from history, but the foolish learned from experience. Sixth, they had a deep relation with other. They called it “clients.” With this relationship, they helped, protected and supported each other. Seventh, Romans had assurance of their future. In exchange for a citizen’s “sacrifice,” they would receive “reward” and “care”. Julius Caesar gave all Roman soldiers excellent salaries with retirement funds. Citizens had no problem to sacrifice to the state because the government cared for their future. Eighth, even if they lost wars, they learned something from those wars. Therefore, they never punished the commanders who had lost the war. Ninth, the Concordia. Romans seemed to like war but on the contrary, they loved harmony and reconciliation. So after war, they always visited “Aedes Concordiae” temple in the Rome and gave hermitage. Tenth, the Romans thought of “public interest” or Rex republica as very important and shared the common view of sacrificing for common needs. In return, leaders were devoted in taking care of their citizens. Most importantly, the ruling group in the Senator included young people and junior leaders who could be trained to be capable leaders in the next generation. When young potentials were chosen, they were put in public services. Then they were raised up step by step. First they became a commissioner of audit, then finance inspector, praetor and finally a consul. After becoming a consul, they were granted the position of governor of a state for a year. Through these training, they were equipped with civil and military functionaries. When an emperor gave a speech to the Senate, he always started his speech, “Fathers and rookies (new members)” because there were many new members in the Senate. In essence, young blood was continuously supplied and circulated in leadership positions throughout the nation. Because of this, there were numerous able leaders were raised and the Roman Empire lasted more than twelve thousand years. The famous Christian historian and professor at Emory Justo Gonzalez says, “Without understanding [the] past, we are unable to understand ourselves, for in a sense the past still lives in us and influences who we are and how we live…” God has been with UBF and blessed world mission ministry. What God has done within us is beyond our imagination. We are so proud of being members of UBF. We live and sacrifice for expanding God’s kingdom. When we look at present UBF, however there is something that we can improve. Many coworkers say that there are a majority of seniors and young people, but a lack of junior leadership and hardly given leadership tasks to junior. If we think about the future of UBF, we should think about how we can raise and circulate junior leaders to gain the experience and training necessary to take on leadership roles. Without them, I believe that we will face difficulties in the future. If we are serious about the future of UBF, we should consider carefully raising leaders in every age. In the last 2,000 years, many historians have come to their own conclusion about the fall of Roman Empire. Some historians say that it was because of the invasion by the barbarian Germanic people and the Hun tribe. Some say that it was because of tolerance and intolerance, especially the author of the Day of Empire, Amy Chua. (She is a law-professor at Yale.) I have heard even some UBF people say that it was because of immorality. But in my opinion, I believe that the fall of Rome was caused by the broken community spirit. Romans saw Rome and other states as a family. They knew how to sacrifice for their community. Rich people offered their wealth to build the infrastructure. Even the Empire gave huge amounts of his personal money to the states for his people and soldiers as bonuses. But from the middle of 4th century, the sense of community spirit became weakened and interest toward the state and individual was broken. When the Hun, Goths, and Vandals invaded the Romans could not fight against them because there was no community spirit. From England to the boarder of Persia to Northern Africa, Iberia Peninsula (Spain and Portugal), Gaul (France and Western Germany), Balkan Peninsula, Asia Minor (Turkey), Syria and Egypt, all peoples wanted to be Roman citizens. But when the community spirit was broken, Rome was defeated at the hands of barbarians and wane the beautiful empire. 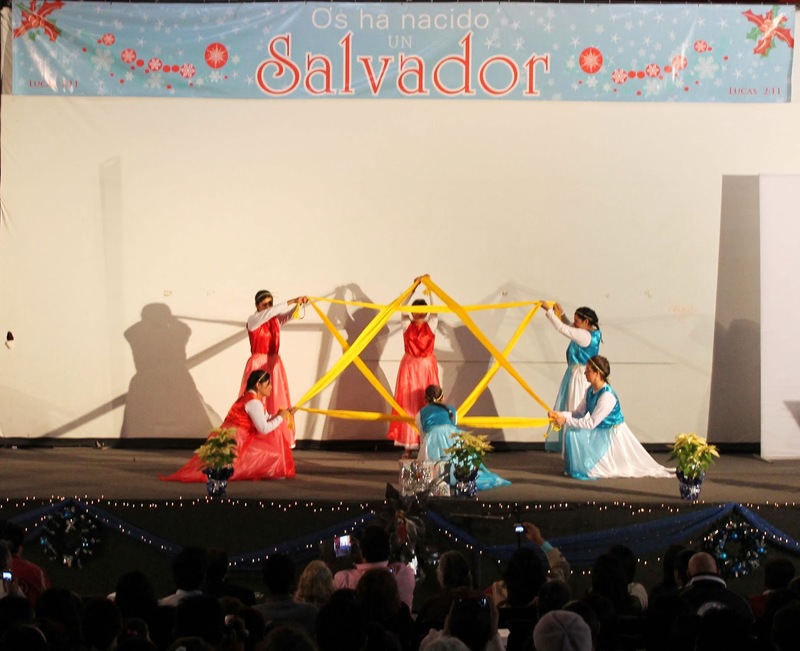 On December 15, 2013 we celebrated a joyful united Christmas worship service in Mexico City. We praise our Lord for working powerfully to bring all our guests. Our prayer topic was to have 500 attendants but our Lord marvelously sent a total of 562 all together including UBF Cuautitlán (15), UBF IPN (14), UBF Morelia (9), UBF Santo Tomás (8), and UBF Querétaro (6). 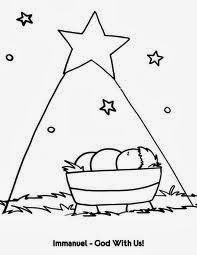 We feel so thankful and amazed to see how much God wants this world to be saved by receiving Baby Jesus in a manger. The first part of the program was aimed to prepare the environment through prayer, sing along worship and a special performance by the CU chorus team singing Bach's "Halleluya". 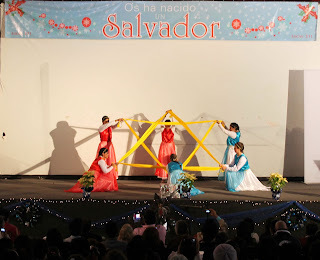 The message was delivered by Shepherd Raúl Muños with the title “A Savior Has Been Born” (Luke 2:1-20). The main focus of the message was to show that God so loved the world that He sacrificed His one and only Son Jesus Christ to be born in a manger to latter die on the cross to save the world. This sacrifice and humbleness of little Baby Jesus melted our hearts and made us realize how pure and deep His love is to us. Nowadays we can only hear bad news everywhere, but the Good News of salvation made us feel joy and hope living in this corrupted and hopeless world. Jesus, our Savior, was born; that is the best of the best news we can hear. To conclude the first part of the program Shps. Mónica from UBF Morelia delighted us with her beautiful voice singing "Oh, Holy Night." Being filled with such a great joy for having the gospel's good news we celebrated Jesus with special programs from the united Mexico City orchestra playing "Christmas Carol", a colorful dance performance by the sisters of CU, and a meaningful and fun drama performed by CU team with the same title and content of the message that emphasized the fulfillment of God's promise to send a Savior to the lost world no matter what. Glory to God in the highest! He sent us a Savior to bring back the hearts of the Mexican young people to God. 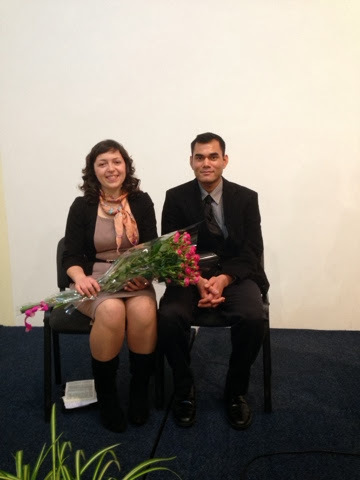 May the Lord continually bless the wonderful work of salvation in our beloved Mexico. A Savior Has Been Born!! I want to request you to pray for South Sudan. Heavy gunfire is still in Juba, the capital of South Sudan since a rebel group of soldiers attacked the army headquarters near Juba University, attempting coupon Sunday evening. More than twenty people have reportedly been killed and hundreds of civilians are fleeing their home to seek refuge, UN said. All the offices and markets have been closed and the curfew is in operation in the city during night. Telephone lines and Internet are down now. Please pray for our leaders(Juba: shp Padiet Deng and Malakal: Dr. Oyor Moses) safety. Please pray for shp Padiet Deng to get an entry visa of South Africa and purchase an air ticket without any problem so that he may attend the upcoming New Year Director Conference in Botswana. How can we know that Jesus is the true Savior? In one of the Sunday school classes, a teacher said to the class, "God made everything." Then one student raised his hand, and said, "No. Everything is made in China." Then the teacher said, "Son, God made even China." Then the student understood that God is the maker of all. The same is true with the Savior. God so loved the world, that He sent us a Savior." Question is, How do we know that Jesus is the only true Savior? In the passage, Matthew presents one evidence, a trademark if you will, that is, virgin birth. About 700 years before his birth, God promised to send the Savior Jesus, by granting a virgin to be with child and give birth to a son. 700 years is a long time. Yet, even after this long period of time, God did not forget his promise. He kept his promise by sending Jesus to be born of virgin Mary, as we read in Matthew 1:18-25 this morning. No savior has ever and will ever be born of virgin. It is only Jesus who was born of virgin. Mary the Mother of Jesus can testify about this, and Joseph the legal father of Jesus can verify this as true. Jesus is indeed the Savior made in heaven. He alone is the true Savior. What does the Savior do for men? Matthew says Jesus is the Savior because he saves his people from their sins. All wrongdoing is sin. So God sent Jesus to save men from all wrongdoings. He keeps you and I from doing what is wrong. A lot of people want to do what is right, but is unable, so they despair. God knows this, so He sent Jesus to save us from all wrongdoings and empower us, not just not to do what is wrong but also to do what is right. Sin causes man to be separated from God. But God sent Jesus to save his people from their sins, so that He would have fellowship with his people, and his people with Him. Matthew knew the goodness of the life in Jesus whose name is God with us. Before he met Jesus he was a loner. No one wanted to play with him. But God sent Jesus called him saying, "Follow me." Then he experienced joy of salvation from his sins, and the fellowship with God coming with heavenly joys. Later he discovered that this is what the Lord God had promised to do through the Prophet Isaiah of long time ago. So quoting Isaiah Matthew says, "They will call him Immanuel - which means God with us." Knowing this we too say "Our God! You are good all the time; all the time you are good." 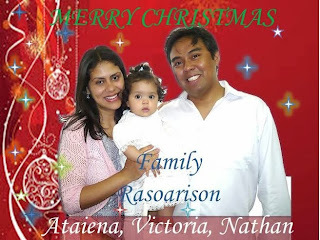 In conclusion, we learn that Jesus is true Savior for he was born of virgin as the Lord had long ago promised. We also learn that Jesus is the true Savior for He not only saves his people from doing what is wrong, but also empowers his children to do what is right. Lastly we learned that Jesus is the true Savior for in Jesus we can have fellowship with God the Father all the time, so we live as God's children with each of us becoming a source of blessing for others. 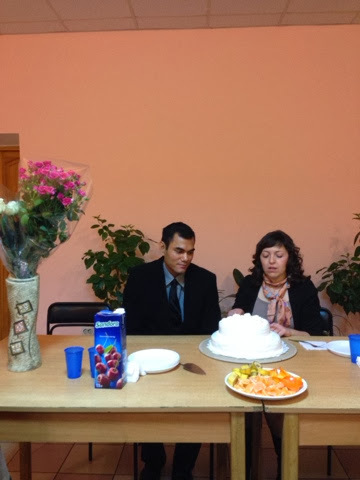 At 7:30 pm on Dec 5 (Thursday), 2012 at the main sanctuary of Kiev UBF Bible Center, an engagement ceremony between Andrew Cuevas of LAUBF and Natasha of Kiev UBF took place. In conducting the ceremony Dr. Peter Kim made a speech which I entitle "True Revolutionaries in Post Modern Era". Because he spoke in Russian I could not understand what he was talking about, but later as he was giving me a ride back home, I asked him about it and he expalined. "God's kingdom work began when The Lord God called one person Abraham. When there is a problem with sovereignty revolution takes place. 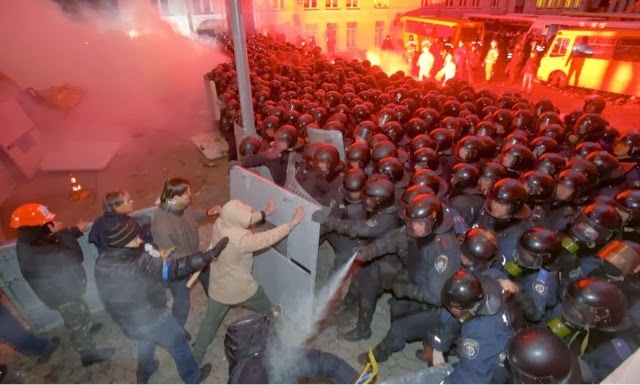 Nowadays Ukraine goes through a turmoil. 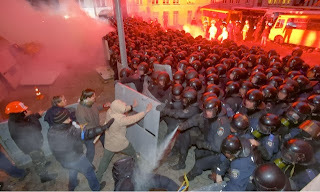 People began to stand up against the corruption of the government. At the Independence Square, revolutionaries gatered in revolt against the regime. God's kingdom stands and thrives by and among those who live by faith in The Lord Almighty - the Soverign Ruler. In his soverign will and plan he calls his children living by faith, builds his family, and thereby expands his territory in and through those who live by faith. Satan, the ruler of the air, works against God's rule by seducing people to live NOT by faith but by sight. In the post modern era where humanists and materialists dominate, Andrew and Natasha stood up against the wicked generation. By faith in God's soverign rule, they made a decision to marry by faith, and build a house church. In his speech Dr. Peter Kim called Andrew and Natasha "Two revolutionaries". He then cheered them up by asking the congregation to celebrate the two young revolutionaries joining together building a house church for God's kingdom work! No longer two but one! Welcome to the blessed occasion to build a house church. Let us bow our heads and pray to The Lord. Our Heavenly Father, thank you for bringing us together to witness the blessed couple coming together and offering you the pledge of marriage building a house church in your blessed name. Please be with us and bless the couple. In Jesus' name. On this blessed occasion I would like to share with you one word from Genesis 2:24, "That is why a man leaves his father and mother and is united to his wife, and they became one flesh." In LA UBF there is a saying "Whoever cleans the bathroom faithfully gets married a beautiful woman. The longer you do this the more beautiful woman you end up getting married." You know cleaning a bathroom once or twice might be okay but doing it all the time is challenging. After sunday worship, the bathrooms get messy. There is 9:00 hbf worship service, then 11 ubf service, then lunch, then 1:30 children service. Then there are other activities such as choir practice. And by 9 pm or so people are all gone. Then close to midnight a man shows up. That is andrew. He goes to the bathroom area. He cleans the bathroom - both man's room and woman's, mopping the floors refilling the supplies, etc. And he did so for so long. The night before his departure to kiev Andew was seen cleaning the center as well. So during the flight from LA to armsterdam I said to him, "After getting married you may wish to stop doing this." And guess what he said. "Missionary Isaac, I want to continue to do this, Perhaps with Natasha." I was so surprised, so I asked, "Why?" He said, "I want to break the record." Now I understand. What he meant was "I want to marry the most beautiful woman in the whole world." Tonight his dream has come true. Look at the woman seated right next to him! So the Lord God caused the man to fall into a deep sleep; and while he was sleeping, he took one of the man’s ribs and then closed up the place with flesh. Then the Lord God made a woman from the rib he had taken out of the man, and he brought her to the man. The man said, “This is now bone of my bones and flesh of my flesh; she shall be called ‘woman,’ for she was taken out of man. ”  That is why a man leaves his father and mother and is united to his wife, and they become one flesh. Adam and his wife were both naked, and they felt no shame." Look at v. 24 again. "That is why a man leaves his father and mother and is united to his wife, and they become one flesh." Notice the word 'one'. Referring to this passage our Lord Jesus says, "and the two will become one flesh.’ So they are no longer two, but one flesh." Tonight upon this couple exchanging before The Lord an oath they will be joined into one: they are no longer two but one flesh! One word: no longer two but one! Let us pray. Our Heavenly Father! Thank you for bringing the couple together and building a house church between them. Please accept this union into your presence as one. Please be with them with your hands of protection and provion. In Jesus' name.